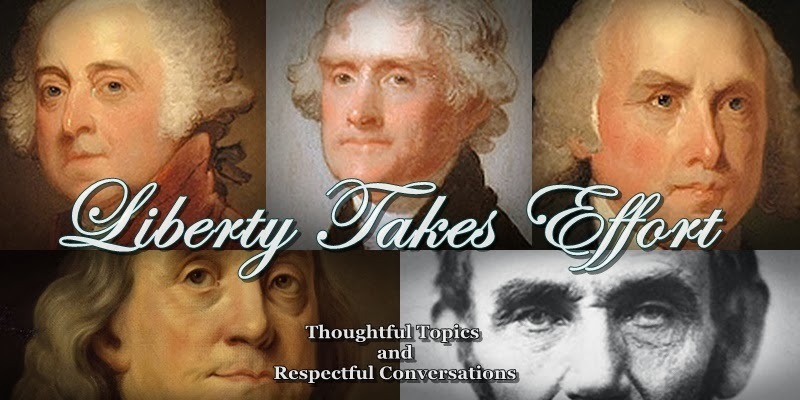 Liberty Takes Effort is a blog for the discussion of current national, state, and regional issues while relying on the wisdom of the founders of our nation. President Obama and First Lady Michelle Obama hosted a state dinner at the White House on October 18, 2016. The Italian Prime Minister was the guest of honor. George Stephanopoulos and his wife were pictured at the event. The full guest list of the White House state dinner revealed a half dozen other media attendees from NBC, MSNBC, and NPR. For those who have forgotten or are not old enough to remember, George Stephanopoulos was the Communications Director for Bill Clinton’s first presidential bid. After Clinton’s election he became White House Communications Director. Later in the Clinton Administration he was made Senior Advisor for Policy and Strategy. He left the Clinton Administration in 1997 to join ABC News as a political commentator. Stephanopoulos now sits as the most important personality in the “news” division at ABC. He hosts two of the networks three major news and information programs - Good Morning America and ABC’s Sunday Morning This Week - and held titles of ABC’s Chief Anchor and Chief Political Correspondent. This bridging between politics, government, and private industry is not isolated to the media. There is a revolving door between politics, government service and the private sector that should concern all Americans. Treasury Secretaries flow from Goldman Sachs and former Congressmen lobby from K Street for corporate and foreign interests. Further diminishing the objectivity of the media is an increasing partisanship. The Washington Post reported on a study in 2014 that revealed journalists are four times more likely to be registered Democrats than Republicans. WikiLeaks recently released the emails of Hillary Clinton’s campaign chairman John Podesta. The emails reveal media relationships with government and political campaign staff that are disconcerting. Again, Stephanopoulos provides concrete evidence of this partisanship. He has donated $75,000 to the Clinton Foundation in recent years. One cannot help but question his objectivity. Placing him at the highest level of a major network’s news organization seems foolhardy and in direct conflict with the intent of the Founders to secure a free and independent press. George Stephanopoulos is highlighted here merely as a prominent example of a systemic problem. The media is no longer the watchdog of government and the powerful but their hand maiden. Journalists are not critics of, but rather, advocates for politicians with whom they agree. Increasingly, Americans are distrustful of the traditional media. Historical polling indicates the media and press sit near the bottom of institutions the American people trust. Alternative online resources are increasingly a resource for news and information. While there are many unreliable sites online, it is much more concerning that a small handful of companies (e.g. Apple, Google, and Facebook) sit atop a vast system of communication and information with which they can advance the personal political interests of the new Titans of Industry. These companies are unfettered by regulation and government oversight because corporate, media, and government elites have become part of a single establishment class that protects their own interests – not the interests of the common citizen of this endangered republic. I received a question asking: Could this simply be more liberal thinking people pursue government and media careers? In response I said, There is some research on personality types (e.g. Myers-Briggs) and political affiliation and definitely correlations between personality type and career choice. But even if there is a correlation that shows an affinity for liberals to be journalists, it doesn't explain the divergence from an institutional ethical model that demands independence, accuracy and impartiality to a practice that results in partisan advocacy. Our university journalism departments being dominated 20 to 1 by Democrats over Republicans may play a major role in this inconsistency. Dan Gallagher is a retired U.S. Navy Commander and former CEO of OpenCape Corportation, a regional fiber optic broadband company in SE Massachusetts and on Cape Cod. He lives on Cape Cod and in Southwest Florida. Copyright Liberty Takes Effort 2014. Simple theme. Powered by Blogger.